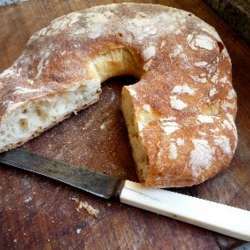 For centuries bread has been an integral part of Malta’s food patterns. Not only was it essential in our diet, but is intrinsically ingrained in historical consciousness and culture. Bread has strengthened historical political ties, was key in securing social control and has occasionally generated unrest, has been a social marker distinguishing classes, and has penetrated in our language with numerous idioms and metaphors describing various life situations. The ftira falls perfectly in this scenario. Food historian Dr. Noel Buttigieg will be engaging the audience into a discussion of the historical, artisanal and culinary qualities of the ftira, which is also being considered for inclusion in UNESCO’s List of Intangible Cultural Heritage. Event will take place a the Inquisitor’s Palace on Thursday 24th January at 19:00hrs. Lecture will be delivered in English.